-Richmond, Virginia. Greater Richmond Convention Center. October 26, 2014. 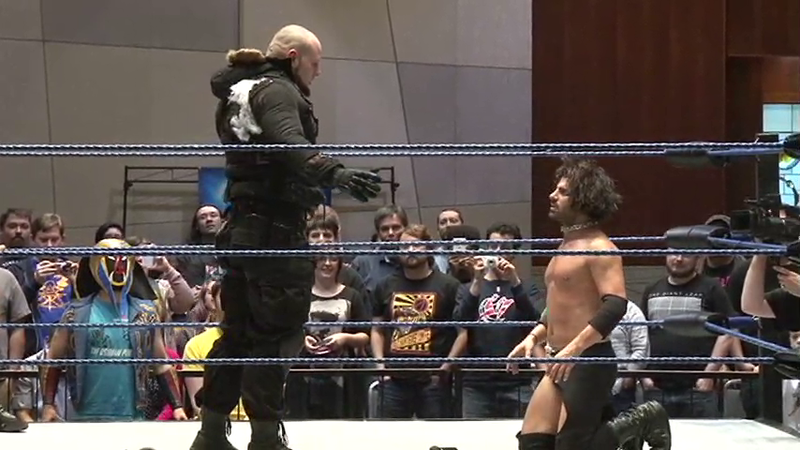 -Jimmy Jacobs challenges Icarus for the Chikara Grand Championship! -Tonight’s Bond movie was of a Roger Moore persuasion. 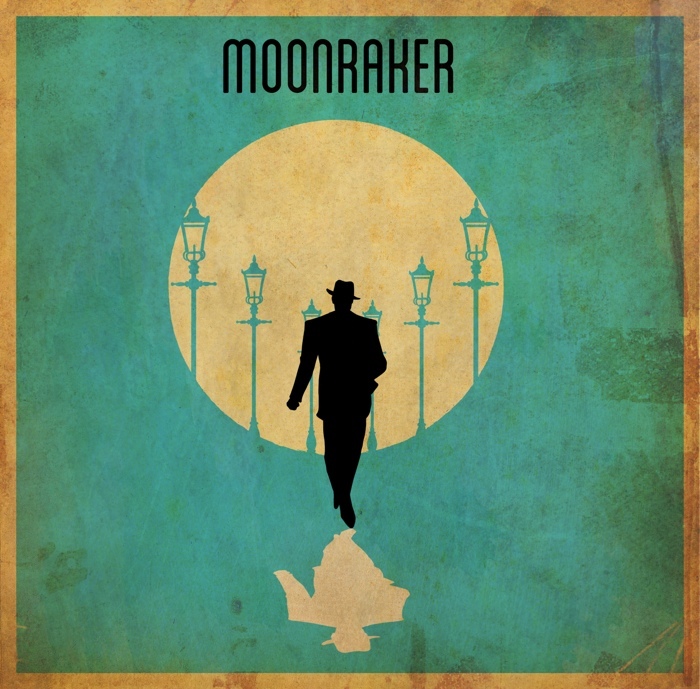 Apparently Moonraker was really average, but made boatloads of cash. It’s the one in SPACE! I seem to remember playing Nightfire, which shared some settings and character types. It might have been my favorite non-Goldeneye Bond game. -Real talk: If Jacobs doesn’t win, how or why is the Flood even a thing. Is that too extreme at this point? Doesn’t the Flood have to do something at some point other than kill of a few ancillary wrestlers? Regardless of what happens tonight, this storyline has the feeling of a multi-year arc. I get the feeling that “Tomorrow Never Dies” is going to unload something big on us. This is a rematch from “The World is Not Enough,” where Shynron squashed Missile Assault Ant in two minutes because there is no God. Apparently Shynron lost to Missile Assault Ant in a Young Lions Cup qualifier, meaning this match is actually a rubber match. In a pre-match promo, Shynron said that Missile Assault better have a great ground to air attack because he’s the best flier. They’re called surface-to-air missiles, Shynron. Now I hate you more. Missile Assault Ant used his strength and technical ability while Shynron used his ability to flip. Missile dominated until Shynron came back with some aerial maneuvers, finally winning with the second rope 630 Senton. That finisher will never stop being impressive, but Shynron still has a lot of work to do. He was much better in this match than the Silver Ant match at “Thunderball,” but there were lots of times where it seemed like Shynron didn’t quite remember the sequence and left Missile Assault Ant awkwardly waiting to take a move. Everyone began against their better half. The Throwbacks had a crazy grappling sequence, 3.0 had a stalemated lockup, Los Ice Creams had an awkwardly long hug, and Ashley Remington and Archibald Peck broke up that hug so they could have an awkwardly long hug of their own. Ashley busted out the gun fingers, accidentally shooting Peck in the stomach! Peck tried to get revenge, but Bryce took the bullet for Ashley. Everyone backed away slowly from the scene of the crime until everyone realized they could cheat without Bryce watching. This is some Lord of the Flies stuff here. Remsburg woke up and ejected Peck for shooting him. An impromptu battle royal broke out, sending Ice Cream Jr. to WrestleMania! Archibald Peck came back out and cleaned house. By this point no one had any idea what team they were on. One of Los Ice Creams was suplexed onto Remington’s grapes, and in the best moment of the night, ate one before selling the move and rolling out of the ring. Bryce Tombstone Piledrivered an Ice Cream for the win? Yup. Bryce Remsburg Tombstoned an Ice Cream for the win. That about sums up the match. Let’s just say it was wildly entertaining and leave it at that. This is something of a rematch from “You Only Live Twice” where the BDK defeated the Spectral Envoy in the opening bout. Ares and Tursas have been sent packing, however, and Jakob Hammermeier leads the BDK this time. Jakob teased the crowd about his partner’s identity until Delirious jumped UltraMantis to start the match. Also, Delirious! Brawling and flying started things off until the BDK isolated UltraMantis. Frightmare took the tag and started the Spectral Envoy comeback. Delirious halted Frightmare’s momentum by asking him to abandon the Spectral Envoy. Before Firghtmare could respond, Jakob accidentally knocked Delirious to the outside. Delirious was furious, but Jakob calmed him by handing him the Eye of Tyr. Delirious and UltraMantis brawled towards the back while Jakob rocked Frightmare with a Knockout Punch to win the match. This was a decent match with some excellent storytelling. I get the feeling this is going to get worse for the Spectral Envoy before it gets better. Before the match, Eddie cut a promo accusing Jimmy Jacobs of using him like a pawn. I can see Kingston’s point, although let’s not forget Jacobs fulfilled every promise he made to Kingston. Also of note, Eddie Kingston has always been a checkers guy. I get the feeling this one is not going to go well for Volgar. Volgar took control early, working Kingston with his distinctively bland offense. Kingston turned the tide with some chops and a suicide dive before dropping Volgar with a backdrop driver and Backfist to the Future. Kingston stared down Jacobs as the referee counted the three. Kingston wanted to fight Jacobs next, but Jacobs’ next move was interrupted by Deucalion. Jacobs and Kingston brawled while the Flood closed off the ring and fended off Chikara forces. A few managed to break through. Dasher tore Deucalion’s mask off, but his punches had no effect. This is where I would run like hell, throwing audience members at Deucalion if necessary. Dasher was slammed and Shynron was caught and thrown over the ropes. Deucalion went for Gavin Loudspeaker next. Archibald Peck intervened, saving Gavin, but paid the ultimate price for doing so. Icarus is again nowhere to be seen. This can’t be a coincidence anymore, right? The Osirian Portal’s rivalry with the Wrecking Crew continued, bringing in N_R_G. They debuted at the King of Trios tag team turmoil match. That’s all I can tell you about them right now. Race Jaxon has lots of energy and Hype Rockwell was really tired from driving through the night to Richmond. The Devastation Corporation continues to be on point and exactly where they need to be at all times. They move crisply and Smashmaster and McMassive sell damage just as effectively as they deal it. Oleg still has some learning to do, but he’s got some great role models. For their part, the Osirian Portal just doesn’t have bad tag matches. N_R_G were surprisingly good in their first full effort as well. Jaxon has a ton of energy and Rockwell brings a great combination of power and agility. They are welcome back any time. The winner was something of a forgone conclusion, and the match was structured like any other of its kind. That said, this was a really fun match. The Devastation Corporation’s string of impressive matches continues. Quack continued to sell the horror of Archibald Peck’s death, even tying it into the chaos of the match. We’re with you, Quack. We’re with you. All crowds notwithstanding, both of these teams put on their traditional great match. The Colony is always best in show and the Bloc Party is always a solid base for any team of tecnicos. Various Ants were isolated after a chaotic opening. The pace picked back up for the finish, which saw a ton of signatures and sequences. Finally, the Colony won with the Ant Hill. The Bloc Party has literally never won a match in Chikara. Even the Odditorium won a match by DQ. Is it WrestleMania? Jimmy Jacobs got the live music entrance treatment! Jacobs strode to the ring full of purpose and resolve. Sadly, the crowd couldn’t be bothered to boo him. Icarus got an into by the same band, who managed to make Icarus’ theme somewhat interesting by shredding over the top of its boring power chords and the equally boring melody underneath. As the match started, the Flood’s strategy from earlier in the evening was realized. Eddie Kingston, thoroughly choked by the end of the Flood’s attack, was unable to assist Icarus in any way. The crowd was dead silent as Icarus handed the Grand Championship to Bryce. There is no energy in this building for what should be the biggest moment of the season so far. The match started with some shoving and brawling that established each as the others’ equal. Jacobs took control with a thumb to the eye and began working on Icarus’ previously concussed skull, culminating with a boot that smashed Icarus’ head against the turnbuckle. The match spilled back into the ring. Jacobs wore Icarus down. Icarus fought back, but Jacobs halted him with some nice counters and a guillotine choke. Icarus broke out and a ten count reset the match. Icarus hit the Pedigree! But Jacobs kicked out at two. Icarus climbed up, but Jacobs stopped him and transitioned a superplex into another guillotine. Icarus was in dire straits, but pulled the unconsciousness tease before hitting a shirinui. Jacobs kicked out and hit a diving ace crusher and a shirinui of his own. Icarus kicked out at two and a half! A Jacobs Spear is countered into a rollup, referencing the night before, allowing Icarus to hit the Blu-Ray. Jacobs kicks out! Jacobs hit a Spear, but Icarus persevered as the match tumbled towards ROH territory. Actually, it was enjoyable, so let’s call it PWG territory. 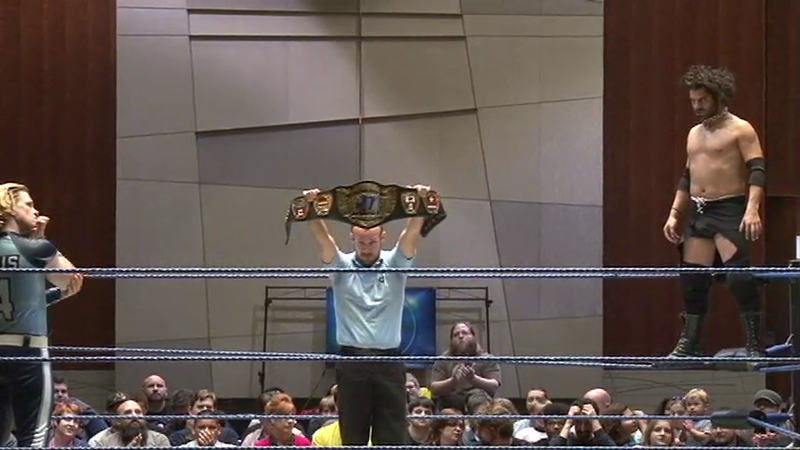 Jacobs goes up for a senton, but Icraus got his knees up, hit a Pedigree, and locked in the Chikara Special. Jacobs fought as long as he could but had to tap. Deucalion quickly made his way down to the ring. This won’t end well for Jacobs, I reckon. As Deucalion headed into the ring, the Chikara locker room assembled on the other side. They seem to be going to great lengths to defend the one guy who has yet to raise a finger to help them. Deucalion asked if the people were happy now and blamed them for the loss of Peck and Thunderfrog. Then, he asked Jimmy Jacobs if wars have casualties. Deucalion looked ready to put Jacobs down, but Icarus Speared Deucalion out of the ring, sending him into a retreat. Icarus celebrated to end the show. Dead crowd (for understandable reasons) aside, this was an easy MATCH OF THE EVENING! As sad as I am that Archibald Peck was killed, this is what this story needed. After no losses of any consequence, the Flood finally took down a Chikara institution. This is the first time the Flood really mattered. Chikara will be a worse place without Marchie Archie, but the feeling of unpredictability missing for so long has finally returned. Of course, this comes with risk. Can anyone imagine Chikara without some iteration of Archibald Peck? Yet, bringing people back from the dead just renders everything meaningless and undercuts any future attempts to add drama. If there are no consequences, nothing matters. Also of note is the fact that Chikara came out in full force. The entire locker room emptied in defense of Eddie Kingston, and later Icarus. Now, if only there was some sort of lawyer available who could sue the Flood for emotional distress. As for the ending, I’ll give it a big “we’ll see where this goes…” Icarus retaining and a potential rift within the Flood don’t do much for the storyline, which remember, is all about the Flood destroying Chikara. There’s still no method for doing that, and perhaps worse still, little progress towards it. That’s why I think this is going to spill into 2015. There are, however, a lot of interesting possibilities. Jimmy Jacobs could turn on the Flood. Jigsaw is still hanging around. The Eye of Tyr could be used to corrupt UltraMantis or others in the Spectral Envoy. Furthermore, and here’s my conspiracy, Icarus could reveal himself to have been part of the Flood the whole time and only brought back Chikara so it could more easily be destroyed. Or maybe I’m just grasping for explanations as to why the Grand Champion hasn’t lifted a finger to help his murdered comrades. In fact, the first person he took action to save was Jimmy Jacobs. Furthermore, we’ve seen every attack against Deucalion fail spectacularly. Even Dasher Hatfield’s mighty punches couldn’t make an impact. Then, Icarus’ Spear is enough to take him out? More likely is that Deucalion let himself get taken out to save Jacobs without looking weak. I think I just talked myself into this theory. Only three shows left until next year! Next month it’s “On Her Majesty’s Secret Service” from Massachusetts and “For Your Eyes Only” in Connecticut. For the Wrestling? Sure. Mostly, it was another night of solid workmanship, although the man event was objectively fantastic. For the Storytelling? Definitely. Two Deucalion appearances means twice the story progression. For the History? The last show of Archibald Peck. Maybe. More infamy than anything else, but worth a view to be certain. Plus, a massive title defense. This entry was posted in Professional Wrestling and tagged Archibald Peck, BDK, Bryce Remsburg, CHIKARA, Chikara Grand Championship, Chuck Taylor, Delirious, Deucalion, Eddie Kingston, Eye of Tyr, Icarus, Jakob Hammermeier, Jimmy Jacobs, Moonraker by Rites of Patches. Bookmark the permalink. My theory is every single wrestler “killed” will be brought back but as a reanimated corpse of some sort. I mean why else keep up Pecks picture on the chikara website if he isn’t coming back? And great review. I look forward to them. Second of all, oh. My. God. That is the greatest idea I’ve ever heard, whether they use it or not. They could totally have their cake and eat it too. We get the people we love back, but they’ve “changed” somehow so there are real consequences to what’s happening maters. Brilliant! Well, Peck is known for his time travel shenanigans. He didn’t eat a Backfist to the Future this season, did he?